Valvular interstitial cells (VICs) are integral to heart valve homeostasis and structural leaflet integrity. Aberrant calcification of VICs leads to dangerous diseases including calcific aortic valve disease. VIC calcification can be reduced through modulation of the MAPK/ERK cascade by selective antagonism of the CB2 receptor. This is a well-studied target of Cannabidiol (CBD). Recently, it has become increasingly understood that not all CBD samples have the same degree of bioactive potential (bioactivity). The present study seeks to determine whether levels of CBD bioactivity have different effects on VIC calcification reduction. 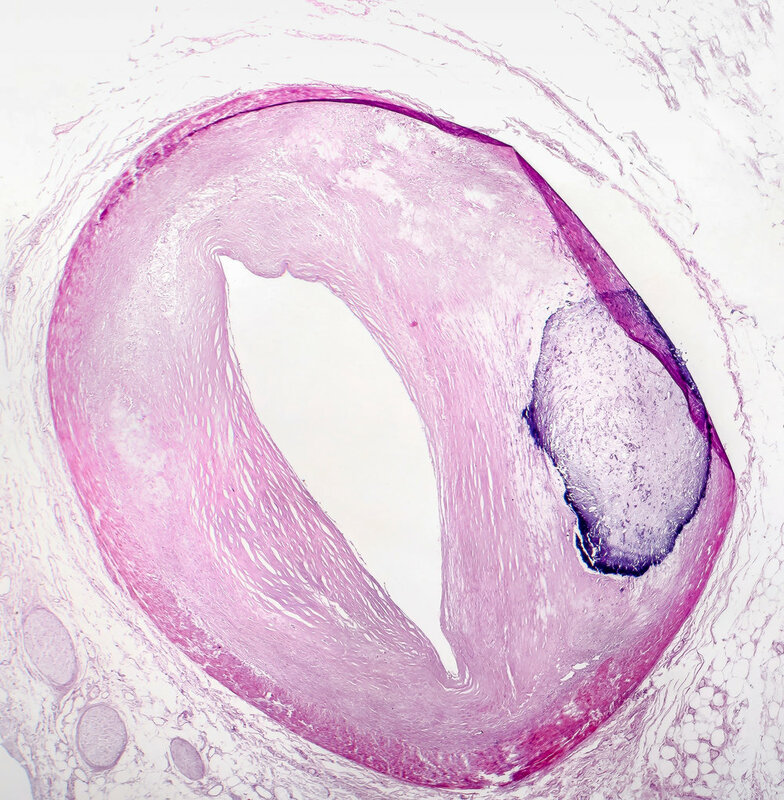 VICs were isolated from porcine aortic valve leaflets, induced to calcify, and treated with CBD or left untreated. CBD of varying bioactivity was clustered into 8 different levels (.20, .30, .50, .60, .70, .80, .90, and .95.) by rounding. Concentrations of 5, 10, 25, 40, and 100 mg were examined. Means, standard deviations, minimum, and maximum calcification reduction values for each combination of bioactivity and mg concentration are provided. Two 1x5 repeated measures ANOVAs on mg concentrations, holding bioactivity at .20, and at .95 , respectively, were performed. A 2x2 robust mixed ANOVA confirmed an interaction between bioactivity and mg concentration (psihat = -36.5, p < .001). Calcification was most reduced by the .95 bioactivity, 100 mg concentration treatment (M = 55%, SD = 6.66%). These results indicate that bioactivity is of central importance when considering CBD as a treatment for VIC calcification reduction.